It was good to a take a month off, I flew back to the UK to see my family, do some sightseeing, and eat my own bodyweight in hot chips. It was also a chance to switch off from work, recharge my batteries and read, not because I needed to get a review out, but because I wanted to. Flying economy to the UK is a mission, it’s 24hours of your life (each way), which I willingly handed over to Qantas. My tip is to drink more water than you think you need, then have another sip. Then try to sync into the timezone of your arrival destination the moment you step onboard and reach your allocated seat. Everyone scurries to create their own tiny little bedsit of sorts. Headphones check. Water bottle check. Double check passport is still in the bag in front of your seat 17 times before take off. Claim your arm rest and keep your arm in defence mode for 24 hours. Drop and pick up your tiny, cracker sized pillow, then arrange in several locations until you find one that may support your neck (just) for the duration of the flight resulting in only minor stiffness and lines on your cheeks. Once settled I had time to unwind and tune out. The headphones were popped on and I browsed the entertainment options. I also read a couple of books on my break, and I’ll share my brief reviews here. House Of Cards S4. Spacey was made to play Frank Underwood. His hair has greyed as the seasons pass, and Frank is definitely meaner. He is darker than the Prince of Darkness himself, stopping at nothing to remain in the White House. His wife, Claire (Robin Wright), reminds me of an ancient Roman matriarch. Master manipulator, hard, ice cold and ruthless. I loved every single episode, full of twists, double crossings, blackmail, and a plethora of underhandedness by the Underwoods. House Of Cards has to be one of my favourite series of all time. Sing. Yep, a kids movie. I wanted something light to knock an hour or so off the clock and I’d heard that Sing was just as funny for adults. It’s basically the funny, cringey first rounds of American Idol, but with animals. It’s fast, funny, touching in places and the animation is delightful. Gunter the pig in a gold spangly tracksuit, and the little snail, were by far my favourites. Assassin’s Creed. I purposely saved watching this until I was on the plane. The reason? I wanted some Jeremy Irons time! This film won’t win any awards, it’s a formulaic fantasy movie with Michael Fassbender at his chiseled best in a take on the successful video game. If you loved the game, and are intrigued by the Knights Templar, then this is a fun movie which won’t tax your brain, with some great fight scenes and special effects. The Accountant. Two hours of my life that I will never get back. Sorry Ben, this had a germ of an idea, with potential to be good, but it was awful. Just awful. That is all. Get Out. I haven’t seen a thriller this clever, smart and heeby jeeby inducing for a long time. Chris (Daniel Kaluuya) goes to his girlfriend Rose’s parents house to meet for the first time. The issue is, the parents are white and they don’t know he’s black. The family start off over friendly, but then, as with all good thrillers, things become unnerving and strange. This was a movie that stayed with me long into the next day, and had me freaking out any time I saw someone stirring a cup of tea! I never EVER want to hear ‘run rabbit run’ again. Nocturnal Animals. I picked this one purely by chance,due to the movie length and the hours I had left on my return flight. Amy Adams is stunning gallery owner Susan Morrow, and melancholy wife to dashing Walker Morrow (Armie Hammer). Jake Gyllenhaal plays Edward, Susan’s first husband and aspiring writer. A draft of Edwards masterpiece novel arrives on Susan’s desk out of the blue. As she reads, Susan is forced to confront her past, and take stock of her present. The opening scene is a pretty shocking exhibition of dancing, naked, overweight ladies, and I had a minor, awkward panic that other travellers will wonder what the hell I was watching. However, I was soon drawn within the cold, minimalist walls of the super rich, in a stylish, signature Tom Ford movie which had me gripped. A great ending too. My Sister by Michelle Adams. I had this one to read and review, but saved it for the trip as I was intrigued by the book jacket. You can read the full review here, it’s a solid suspense, but I was left feeling slightly underwhelmed. Great effort for a debut novel, but didn’t quite have the finesse. I look forward to seeing how Adams develops as a writer. Don’t Let Go by Michel Bussi. This was another read I saved for the trip. It’s a classic cat and mouse suspense thriller, set in the unique island location of The Island Of Reunion. Then Liane Bellion disappears. She went up to her hotel room between 3 and 4 pm and never came back. When the room is opened, it is empty, but there is blood everywhere. An employee of the hotel claims to have seen Martial in the corridor during that crucial hour. Then Martial also disappears, along with his daughter. An all-out manhunt is declared across the island. But is Martial really his wife’s killer? And if he isn’t, why does he appear to be so guilty? I thoroughly enjoyed the read, so if you like your crime novels, with beautiful people and a beautiful setting, get into this one. I’m incredibly late to the party for this 1985 Margaret Atwood dystopian novel which has picked up steam over 30 years after its first release as readers resonate with the book in these uncertain global and political times. I enjoyed the prose immensely and was sucked in from the first page, it is no wonder this book is flying off the shelves still. A great piece of work, insightfully written at the time, and still has relevance today. I’m looking forward to watching the series. If you liked The Hand That Feeds you and Dark Places, you’ll enjoy this fast paced thriller from Christina Morgan. I found the plot moved at a pace to keep me interested and the characters can certainly set up for the trilogy. I did find the protagonist a little lacking in empathy for me though. Some of her decisions were bizarre to me, although this did help to veil the real story. I also had my suspicions of ‘who did it’ quite early on in the book. A great read if you like the genre and have a couple of days free to knock a book over. 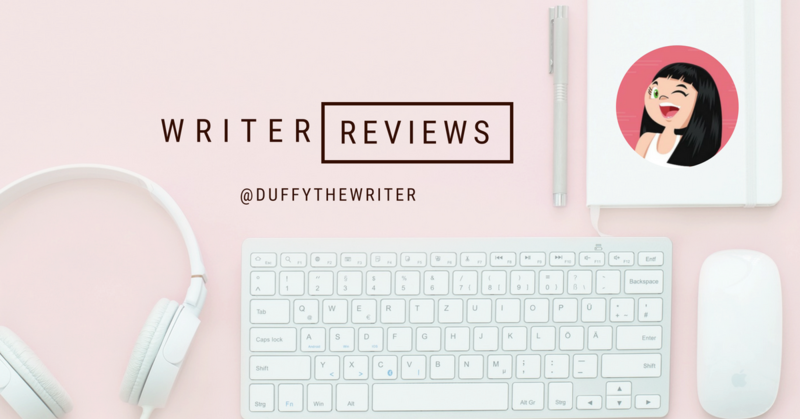 Look out for more reviews as I settle back into my book and movie blogging life 🙂 Would love to know the books and movies you are saving to read and watch on your holidays!